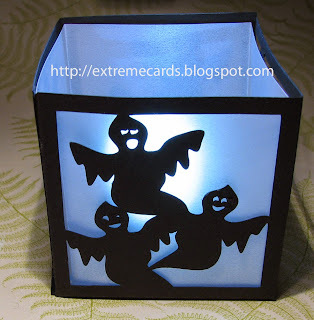 Here's another project, a battery tea light votive paper lantern, using the ghost silhouettes from the window pop up card in the last post. 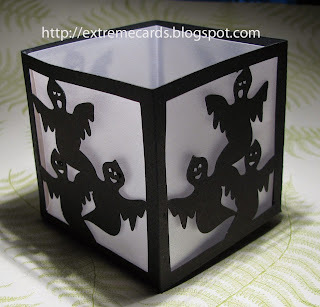 Cut the ghost piece from cardstock. 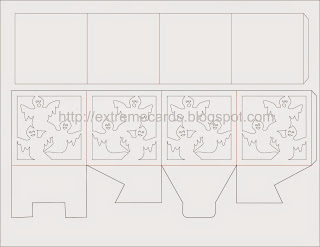 Cut the long rectangle from vellum. 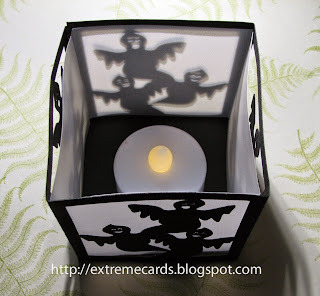 Assemble following the instructions from this daisy tealight lantern.